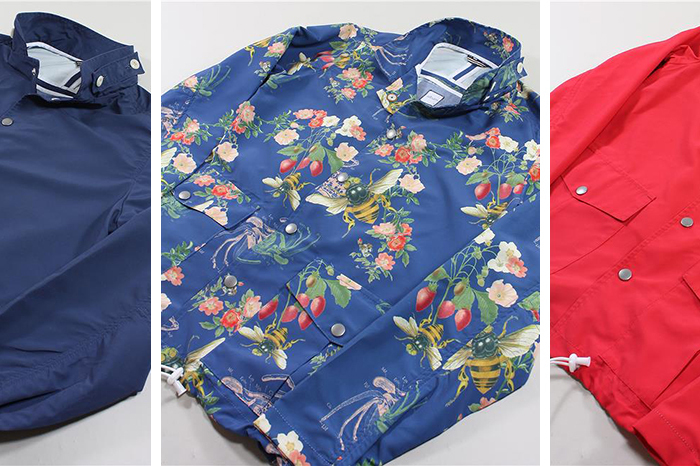 London’s beloved menswear brand albam tweak their Fisherman’s Cagoule, creating the new Ridsdale Surf Cagoule in these three variations. 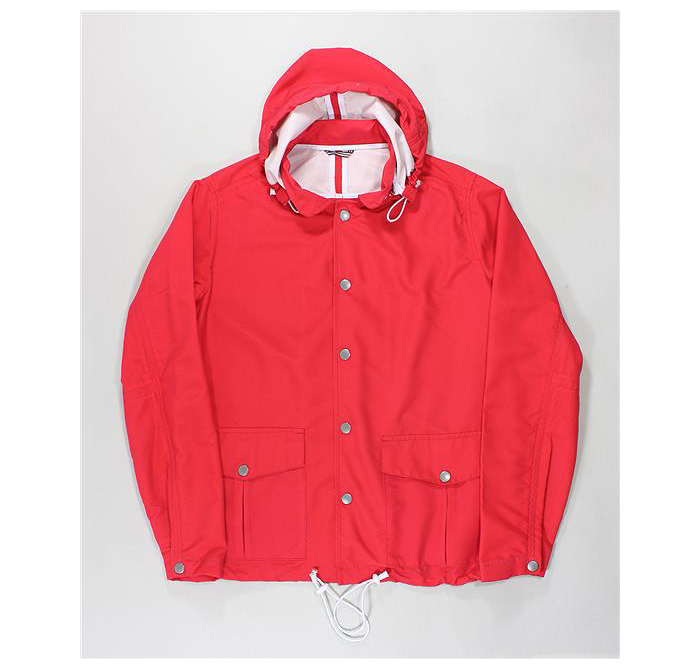 It’s actually quite hard to spot what differences have been made to the Fisherman’s Cagoule to create this new variation, other than the introduction of poppers in place of large buttons, but I trust albam when they say that tweaks have indeed been made. 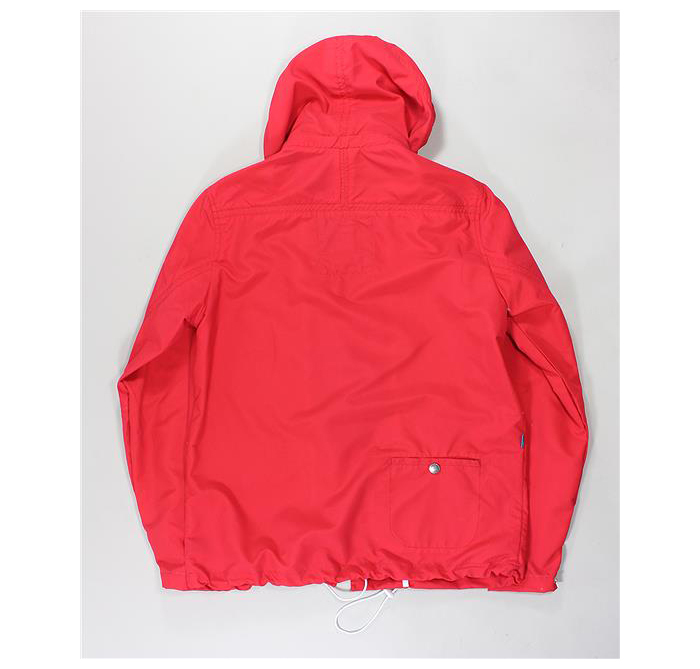 It’s most likely that the alterations will come in the fit, rather than the visual of the cagoule. 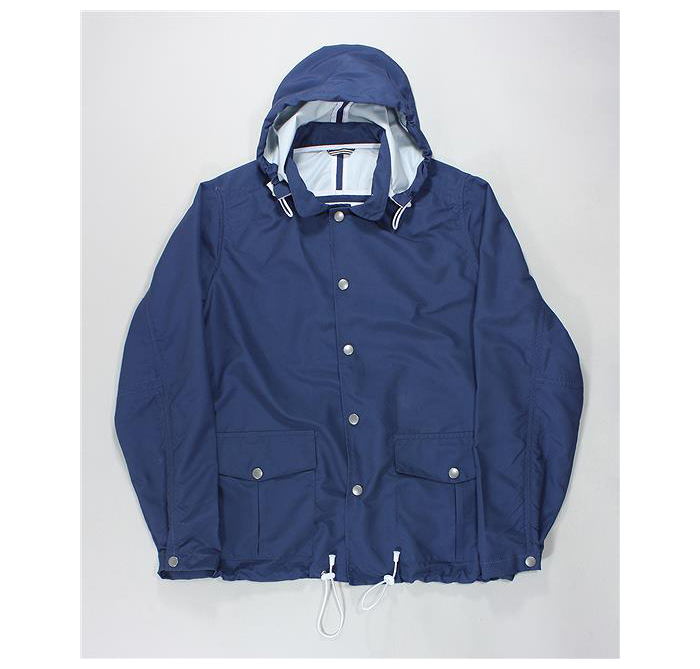 Ragardless of the differences, this is a superb rain coat. 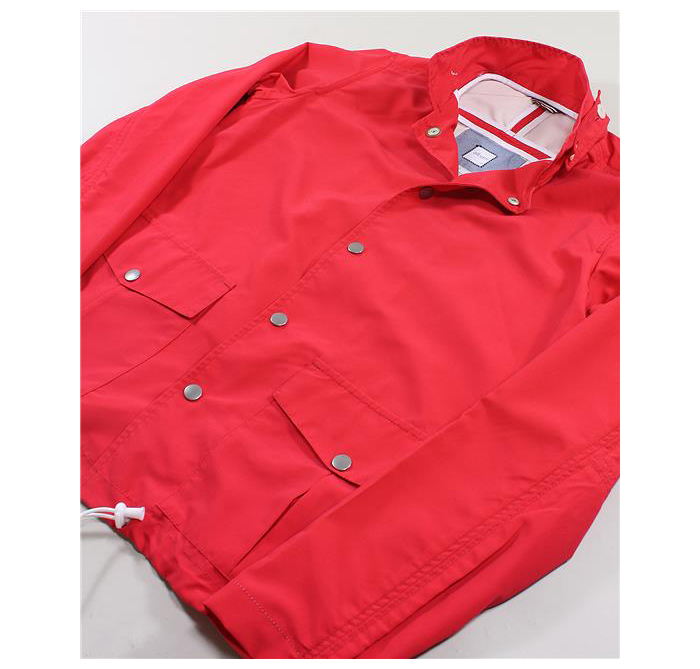 Featuring square pockets on the front with popper fastenings, as well as a small pocket on the lower of the rear and a removable hood, this jacket has a decent amount of practicality. 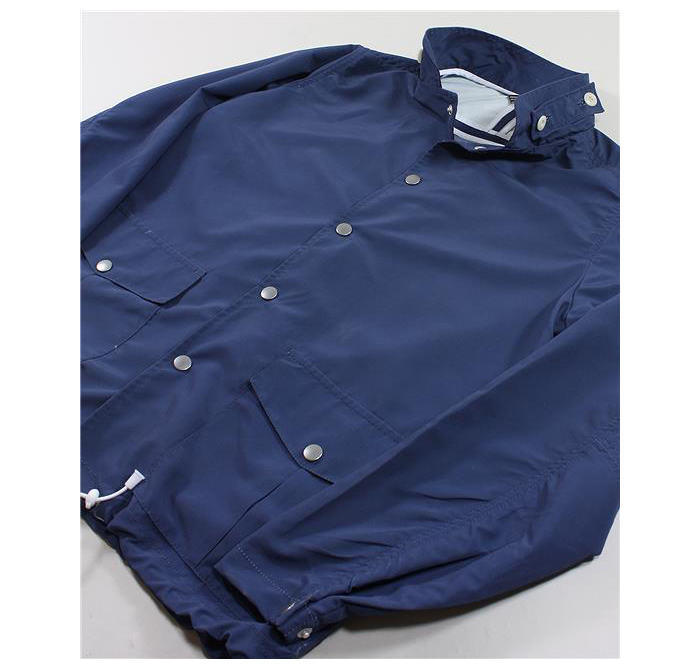 Really, only a few of us worry about practicality though, and it’s the look of this jacket that matters. 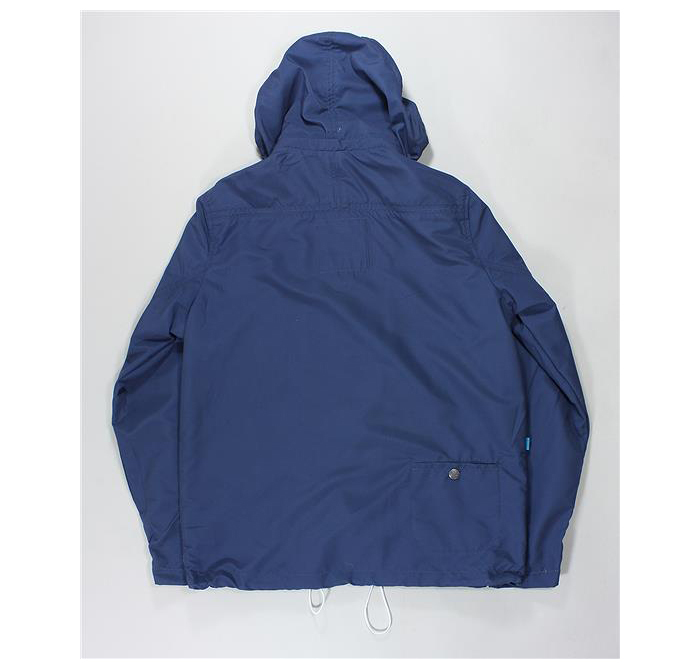 Here, the Ridsdale Surf Cagoule perform superbly, with it’s slightly rounded colar enabling you to remove the hood and wear the jacket more as a weatherproof blazer. 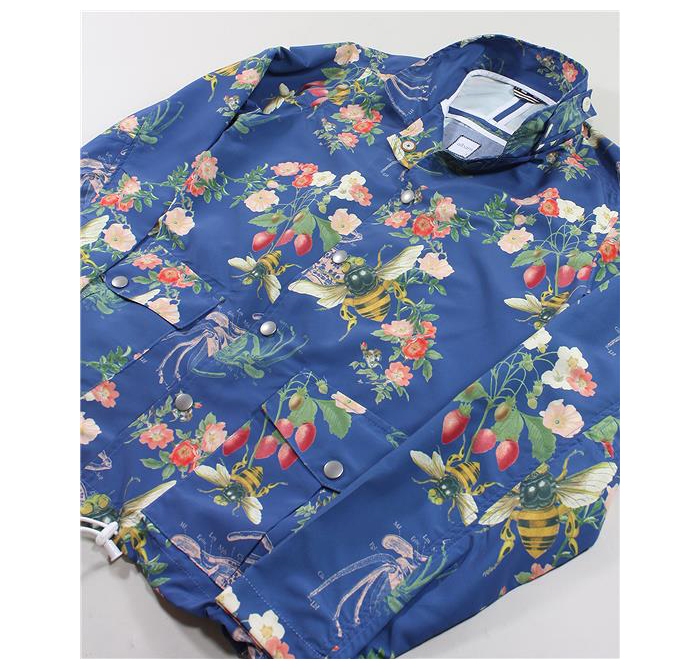 Two colour block variations are complimented by the slightly more crazy bee print featuring imagery of oversized bees and strawberry plants on a soft blue backdrop. 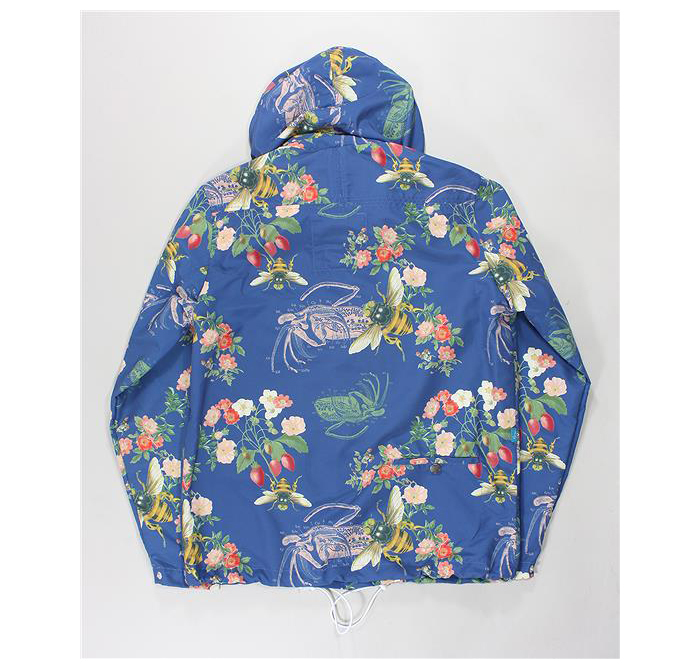 It’s killer. 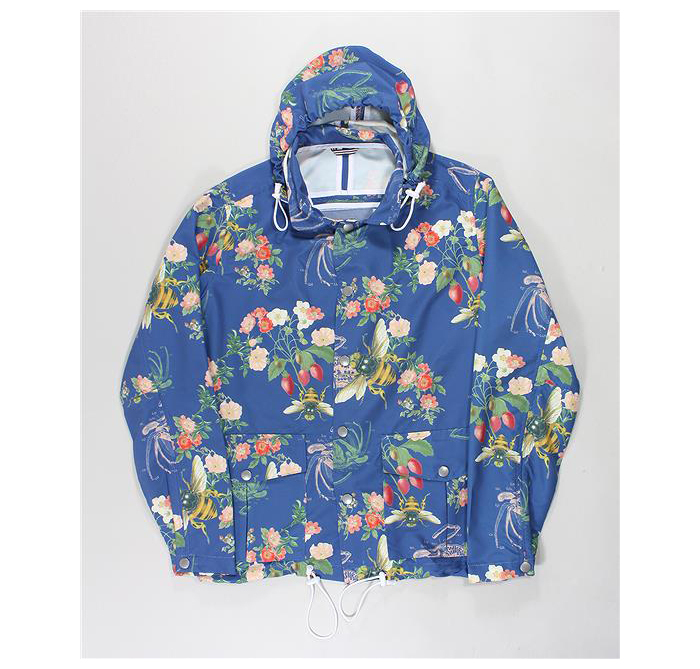 All three variations can be found in-store and online from albam now for £189 a pop.